Rose Marie Marsjanik (Parlock), 93, of Dunellen, passed away peacefully at her home on Sunday, February 10th, 2019 with her loving family by her side. Born in Bayonne, she is the daughter of the late Andrew Parlock and Mary Kupec. 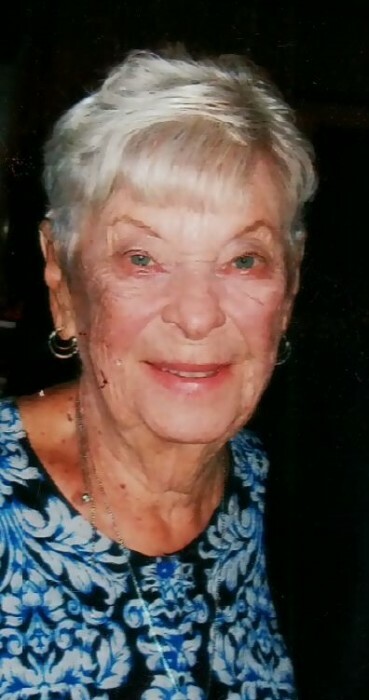 Rose was a lifelong resident of Dunellen. She was a graduate of Dunellen High School. Rose was a communicant of St. John’s Church for over 65 years. She belonged to the Court Regina Coeli #940 Catholic Daughters. Rose worked as a receptionist for many years at Tekton Development in New Brunswick. She also devoted her free time as a volunteer at Muhlenburg Hospital in Plainfield and then became a paid employee. She loved spending time with her family. She enjoyed many casino trips to Atlantic City. She was an avid baker and loved to cook. She will be greatly missed by all who knew and loved her. Rose is predeceased by her beloved husband, Anthony (1994), her brother Andy and her sisters Agnes, Marie, Helen, Catherine and Anna. She is survived by her children, David Marsjanik and his wife, Darlene of South Carolina; Andrea Cieri of Hillsborough; Jayne Lendach and her husband, Roger of Dunellen; and Paul Marsjanik and his wife, Cindy of Pennsylvania. She is also survived by her Grandchildren – Brendan Murray and his wife, Venus; Kimberly Michael and her husband Mark; Sean Murray and his wife, Kelly; Nicole Malcolm and her husband, Thomas; Ryan Murray and his wife, Lindsay; Eric Marsjanik; Kyle Lendach and his wife, Amanda; Lauren Cieri and her husband, Kenneth and Hannah Dimemmo. She is also survived by her Great-Grandchildren, Mary, Julian, Jacob, Aidan, Jordan, Bella, Adrianna, Noah, Emma, Sebastian, Cade, Aubree and one great-grandchild on the way! Rose is also survived by her cousin, Rita Miller of Westfield as well as by many loving nieces, nephews and friends.